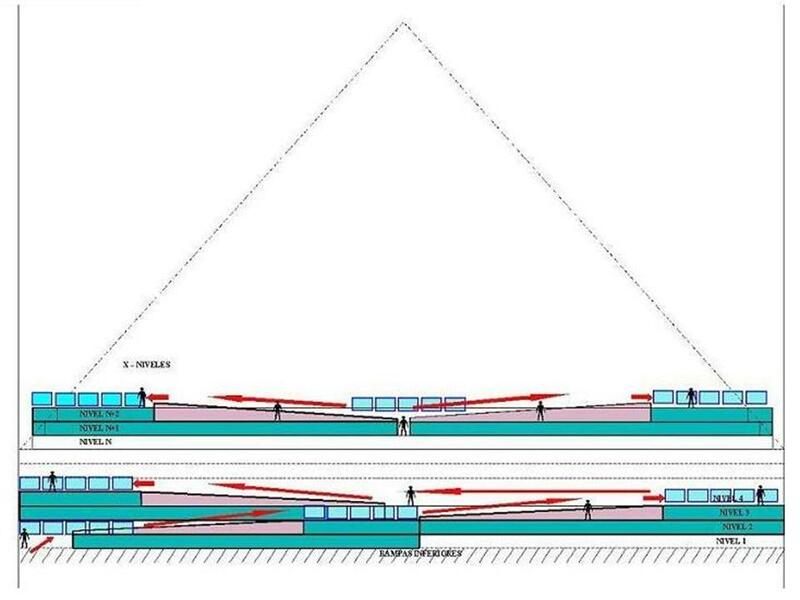 Pyramid Giza Egypt Construction Theory Ramp Carlos E. Rodríguez Varona -consists of ramp and external workings architectural renderings, graphics, power point. I belong to the Group for study and diffusion of the Egyptology “PA-JU-WER”, resident in Havana city, Cuba. My work consists of the proposition of a new technique -or technology- to use the ramps in a completely efficient and reasonable way, accord with the time they were built. √ The small dimensions that they possess regarding the pyramids and the almost null angle of slope them possess regarding the horizontal plane, of 3.9 degrees. √ The space where this hypothesis is developed constituted by the steps and borders that possess the levels of the pyramid. √ The first type uses ramps, platforms and supports for both of them, placed over the steps that conform the levels. And their quantity may vary according to the height and the type of element to elevate. √ The second type uses small sections taken from the borders of the levels. It increases in longitude and depth inside the level as the construction of the ramps advances, according with the dimensions that require the same one. NOTE: Some Internet users may not be able to access this power point presentation due to their security settings - Active X control content. The following hypothesis tries to demonstrate the probable technology (skill) used for the construction, specifically the elevation (increase) and location to certain height, of the constructive elements that compose the Egyptian pyramids of Gizeh's valley, in specific Keops's pyramid. 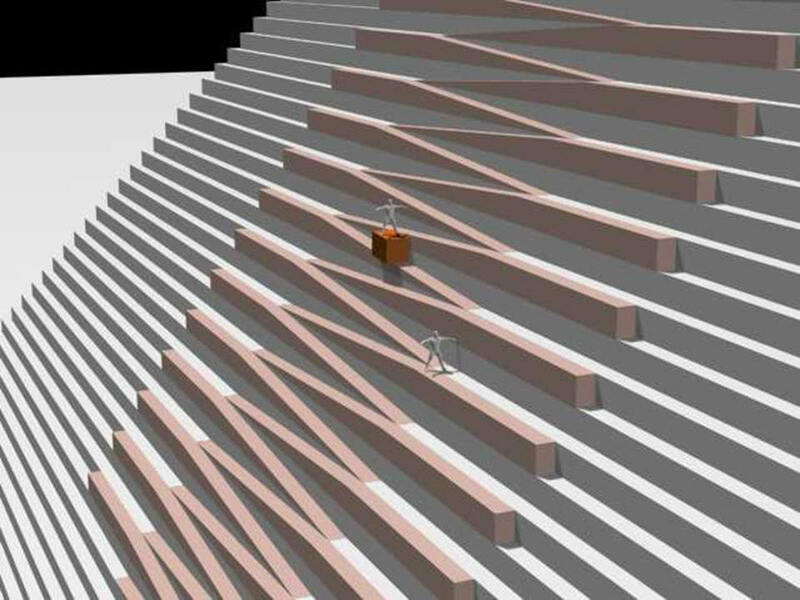 There is exposed a theory that uses two types of ramps: those of static character, placed inside the body of the pyramid, constructed with the body of this one; and smaller others of dynamic character, located on the steps of the levels, of structure flexible and changeable, easy to move and maneuver with regard to the previous ones. Presenting both an angle of inclination almost void in the slope. The pieces are placed in the shape of apparel to the style rope of chairs (ashlar masonry), for what they are fastened - or grafts - for the mass that is distributed above road surface and uniformly of permanent form. In the bibliographical references there appear the general foundations of the previous theories. · The small dimensions that they possess with regard to the pyramids and the almost void angle of inclination that they possess with regard to the horizontal plane, of 3.9 degrees. · The space where this hypothesis develops it is constituted by the steps and edges that possess the levels of the pyramid. 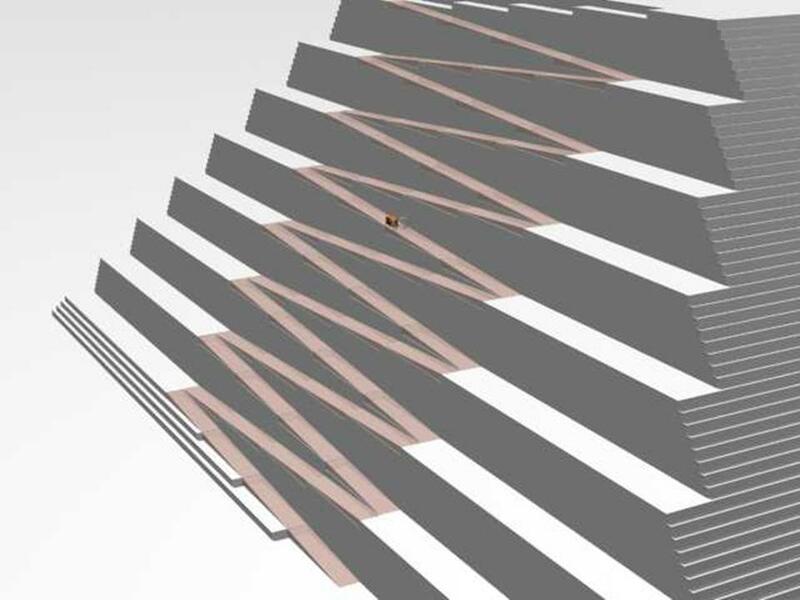 · The first type of ramps uses ramps, platforms and supports, which are placed on the steps that shape the levels; quantity that different according to the height and the type of element to rising. 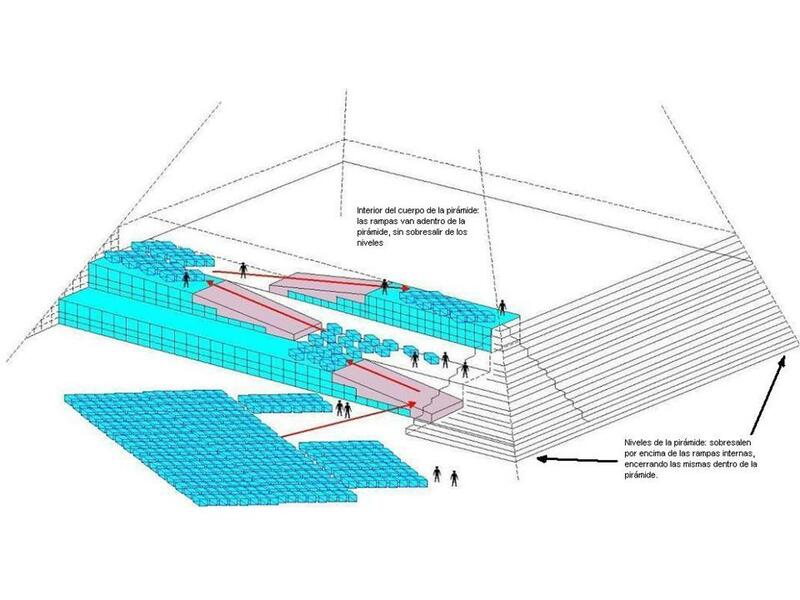 · The second type uses small sections of the edges of the levels that they increase in length and depth inside the level as there advances the construction of the ramp, according to the dimensions that is needed have the same one. The aim (lens) of this work consists of enunciating the probable technology used to construct the pyramid by means of the use of ramps to raise the pieces, without including the totality of the constructive process of the same one; having present that this one constitutes the fundamental aspect to carry out the construction: without a technology to transport the pieces is not possible to do anything. · To transform the work to elevate the blocks in overcoming the force of friction when dragging them and not in overcoming the action of the gravity force on them. · Possibility of transferring the blocks of comfortable, safe and fast way, doing possible to make complex maneuvers with a minimum of risk; even though this implies to cross greater distances and to transfer a greater number of pieces than they compose the inclines due to the necessity to increase to the volume and the dimensions of the same one. By means of the Theorem of the Triangle rectangle of Pythagoras, the rake is determined that will have the slope, being obtained the looked for result. Of random form: some specific procedure is not used to calculate it. This procedure is reflected in the annexes. The measures are chosen according to the necessity to elevate the objects until certain height and position. It can be observed how to design inclines of different lengths according to the previous thing in the annexes. The dimensions and the rake that have the inclines are greater of which really they could have been. This is valid also for the second type of incline. This avoids discussing the questions related to the real measures. The first type presents/displays a complementary structural set conformed by two horizontal platforms: first destined to locate the blocks, like an intermediate place between the incline and the level next to the same one to place them later on this level or to elevate them by another incline parallelly located; and second like support to maintain to the inclines and platforms that excel of the steps. The almost null rake is characteristic fundamental: 3.9 slope degrees with respect to the horizontal plane. This is equivalent to work on surfaces almost totally horizontal. He himself obtains itself randomly from selected dimensions. An effective method is obtained to elevate objects of any dimensions from a level to another one, using a system of inclines able to vary its dimensions using more of a level like support quickly to adjust to the existing necessities. This allows combining several sets with the objective to use them of alternating form to elevate the elements in complicated sections. This appears exemplified in the figures. This quality receives great validity in the case of the construction of the cameras and inner rooms and the highest levels of the pyramid. This first type would be fundamental in the construction of the highest part - call PIRAMIDON - being used for this several faces, to make the final finished one of the faces, and to correct flaws or to finish off details during the constructive process; in the transportation of jewels, symbols and other funeral pieces; and in the sealing of the cameras and filled up of the way. The filled up process of the steps in the highest part, where supposedly they do not fit by the length so reduced that they have the edges of the levels with respect to the length that have the inclines, would be made of vertical form. That is: the spaces of the subordinate echelons of command will fill up where is the incline, so that the filled up sections correspond with the vertical plane of the same one. The use of this first type is essential at the time of conceiving the pyramid due to the quality that characterizes it: it is a structure easy to move, although it is considerable the number of pieces that compose it. This makes possible to completely disassemble it at any time of the construction to place it in another place. It stops being a static object, making possible designs of great complexity and given his ample possibilities to vary his dimensions, adapts easily to the place, position and maneuver that is required during the constructive process. Consists of applying the previous type using a new variant: using equal inclines but of greater dimensions, combined with the body of the pyramid. These inclines would be the used ones on great scale to make the work most of, employee to transport the greater amount of blocks and constructive elements. The height is expressed by the amount of levels that occupy, which will obey to the exigency to advance more quickly in the work. The length must adjust to conserve the angle of the slope of 3.9 degrees. The objective consists of overcoming the friction force and not the gravity force. They constitute great and long constructed inclines using sections taken from the edges of the levels, near the steps of the pyramid, but located on the levels. They present/display great lengths, near the 80 meters as one is in the table of measures. And the present altitude is analogous to those of the first type: an elbow of height and a superior surface conformed by almost cubical blocks to a slope of inclination of 3,9 degrees. The sections of the edges of the levels - or the corners, according to the case literally are absorbed by the inclines as these last ones are constructed, using like platform to support to the incline the inferior levels. Reason why the pyramid becomes the route to raise the pieces, with no need of steps nor platforms. The blocks from certain sections of the edges of the levels are taken to construct the base on which the incline will be constructed. The taken amount diminishes horizontally in each level as it is constructed, because the length of the incline diminishes as it increases the height: The direction of the inclines will depend on the taken initial trajectory. The volume that occupies the inclines properly is the conformed one by the part of the slope solely, that is, the volume corresponding to the section limited between the slope and the horizontal plane corresponds properly to the incline this. The rest is the blocks of the levels. 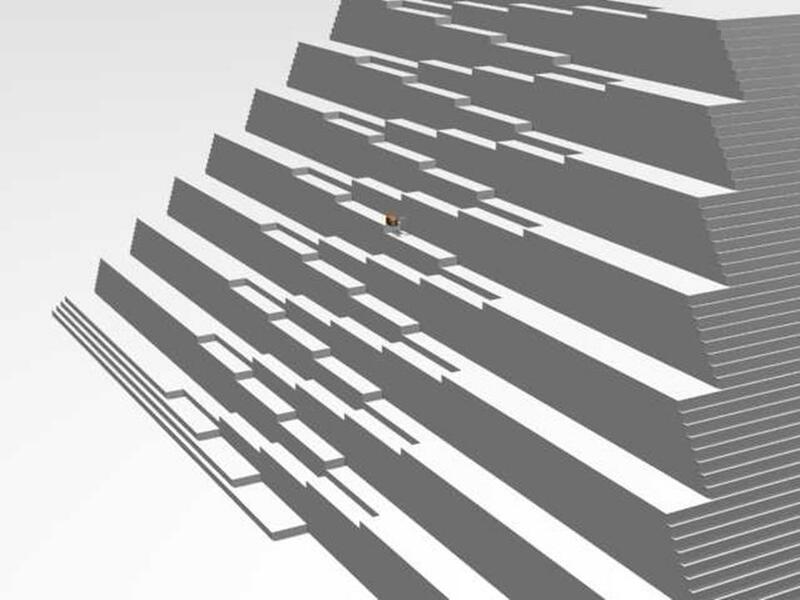 The wide one of the incline is equivalent to the one of several blocks or steps, to allow simultaneously transporting several elements or others of greater proportions. The incline is constructed entering itself towards the interior of the same one as it advances in the construction, by means of a passage that interconnects them, maintaining the slope of 3.9 degrees. Resembling enormous lateral stairs with form of zigzag within the pyramid. This allows to transfer anyone of the pieces that compose the pyramid, without concerning the dimensions and/or the mass that they have, until certain height. If necessity exists to vary the direction sense because some obstacle interposes: a passage, a camera, a failure or accident, a corner, or another detail; it is determined if it is necessary to change the sense, the dimensions, to continue on a face or others, to replace them by those of the first type, etc., being offered a quite dynamic process. But considering that once constructed is not possible to return backwards because the blocks that compose the body of the inclines cannot be cleared since it comprises of which it has been constructed. The second type of incline turns out to fuse those of the first type repeated several times one next to the other in several levels; taking advantage of like platforms of support for the constructive elements and the previous inclines, the blocks that are successively at the end of the mounted inclines and those that are below the sections taken in the edges of the levels, respectively. It will be used to construct the pyramid most of. When it is arrived at a height where space does not exist to install them diminish its dimensions. And when it is not possible to be continued reducing the dimensions, they are replaced by those of the first type. This includes in addition the possibility of combining, temporarily or no, both types of inclines to surpass obstacles or to apply certain constructive techniques. It turns out advantageous to destine a section or fixed area of the face to work with the inclines. 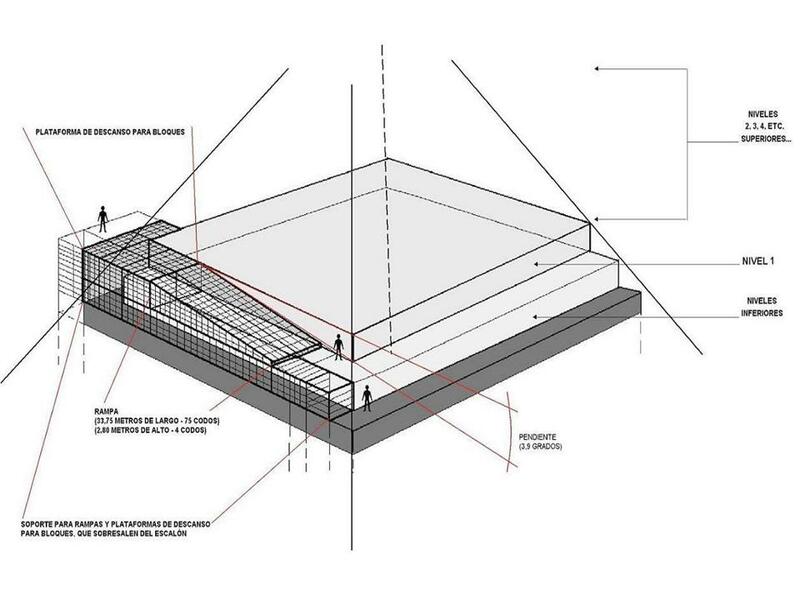 This facilitates the design and the planning of the work, because the used sections are easier to control, reserving to the use of the remaining sections for possible problems or variations of the design. 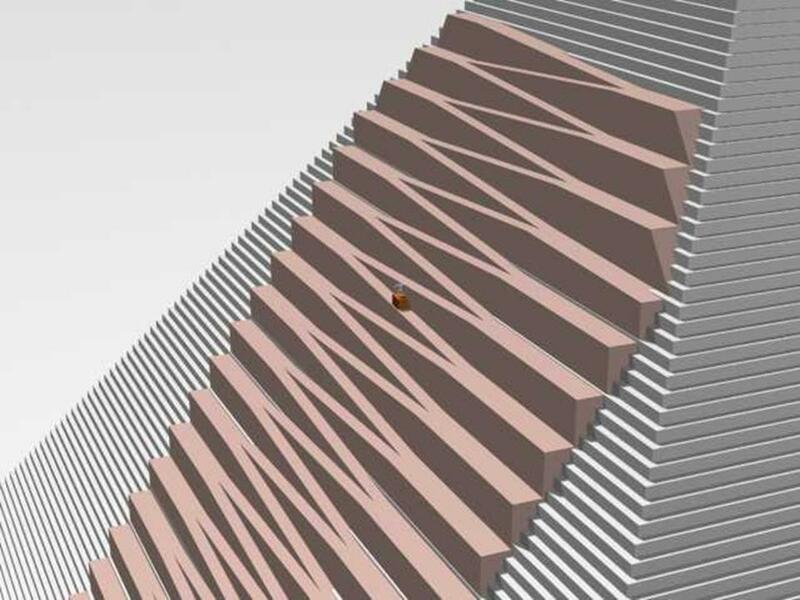 All this makes possible to make a scale model of the pyramid to determine how it is going to be constructed, where they go placed the inclines and how they will be used. Planning wisely, a margin of errors is controlled that it facilitates to surpass failures or necessary modifications, allowing to execute agreed actions with the existing necessities and possibilities. 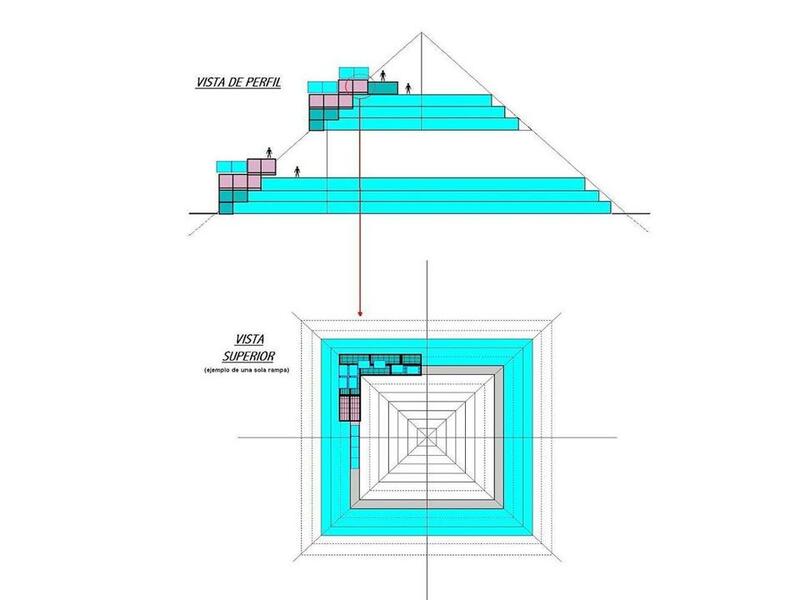 And when arriving at the highest part of the pyramid - that includes the PIRAMIDON - the first type of inclines is used and finally the spaces used by the inclines of the second type fill up. This last operation is carried out of descendent form use do the first type of inclines is used of permanent form in the final stage. 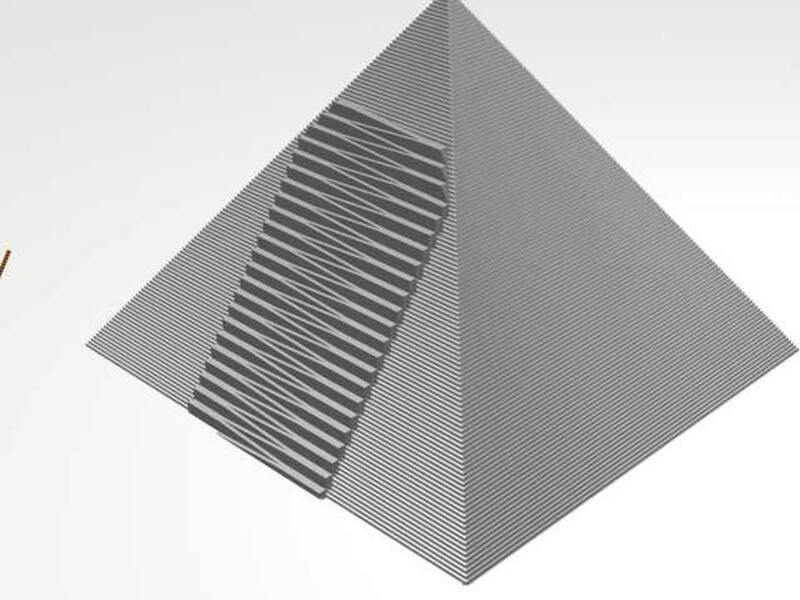 This work does not try to expose a concrete example that shows the exact procedure to construct the pyramid, where both specifies the use of types of inclines, because both models of inclines exposed here can be used using dissimilar technical variants in any construction where inclines are used. The annexes are included in the end related to this aim: to use them as guide to elaborate certain and exact constructive procedure. The objective of this hypothesis only consists of transmitting the technique; not the procedure. It has a precise and reasonable foundation with respect to the previous existing hypotheses. It uses the inclines of efficient way, using measured known and a technique concrete, without presenting/displaying serious disadvantages as they are: to constitute a risk for the personal security of the constructors, too expensive being; not to establish of clear, simple and suitable form to the conditions of those times, a trustworthy technical procedure that guarantees the constructive process. As well, it allows to dissuade to think about resorting to methods or procedures such as those of supernatural or extraterrestrial character. It conforms a safe and trustworthy model that it serves as to tool fundamental in the design and construction of the pyramid, making possible to plan of exact form the same one, to calculate the time of construction, the technical amount of resources, personnel and necessary elements. This hypothesis implicitly carries the possibility that the Pharaoh told on a safe technique that he allowed him to make the decision to construct the pyramid. This hypothesis, to validate itself from the historical point of view, reframes the enigma of the construction of the pyramid orienting the incognito of the investigative approach directed to discover how it was calculated and designed the pyramid and how they were elaborated, placed and constructed all to his pieces and sections. 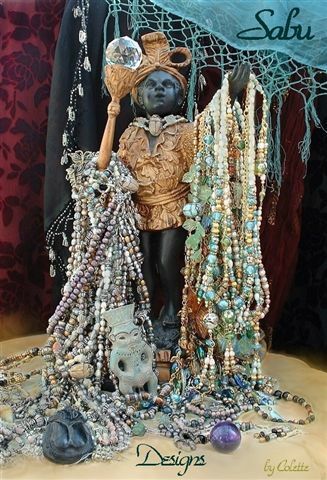 This work previously does not discard the possibility of the use of other expressed techniques that could serve like complementary, because singular maneuvers could be applied when making or to transport specific elements as they could be enormous pieces. In addition, it is directed to facilitate a study and understanding of the architecture of old Egypt. It is, partly, a recognition to the technical and cultural development reached about old Egyptians. It is the impelling motor of this work to base to where it is possible, a hypothesis of the character most reasonable and near possible the specifications and technological and cultural that existed at that time. Of this form they are raised the inclines of this hypothesis; which at first sight can be ineffective due to the small thing which they seem with respect to the dimensions of the pyramid; but that little by little, using them of systematic form, provides a quite consistent and satisfactory solution with respect to the dilemma of the used technique to elevate the pieces, being made possible to use these inclines in the construction of a pyramid with the complexity and the size that is desired, as it will be seen more ahead. With a suitable planning and design, they are possible to be used systematically of effective form placing them parallel to and on the steps, of continuous form to conform a trajectory through one or several of the faces - according to the design of the architect - by where is possible to be transported the elements. I. Aldred, Cyril, Aparición de los reyes - dioses. Primer florecimiento del antiguo Egipto. / Piggott, Stuart, El despertar de la civilización. Los enigmas de las antiguas culturas revelados, Ed. Labour, S.A. Barcelona, España, 1963. II. ENCARTA digital Encyclopaedia, 2000 year edition. Microsoft Corporation. III. Moreux, T. (Abate), La ciencia misteriosa de los faraones, Ed. Sabian, Buenos Aires, Argentina, 1956. IV. Pijoán, José, El arte egipcio hasta la conquista romana / Summa Artis: Historia general del arte, Ed. Espasa - Calpe, S.A. Vol. III. Segunda edición, Madrid, Epaña, 1945. VI. Website: United Sate Congress Library: mailto: lcweb.loc.gov. VIII. Stadelmann, Rainer, Las pirámides, colosales obras de ingeniería, Rev. "El correo de la UNESCO", número El Egipto de los faraones, Ed. Maury - Imprimeur S.A., año XLI, Septiembre de 1988. Note: The wide one of the incline will depend on the necessities to transport the objects, starting off of a wide minimum equivalent to the double of which it has the object to transport.